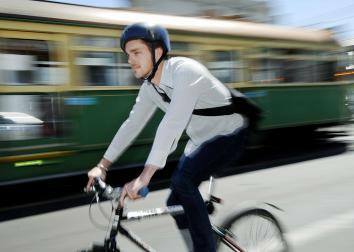 Bike Law: The definitive guide to essential road rules for bike riders in Victoria. Whether on the road, on a path, riding in a group or heading out at night, this guide will help bike riders share the roads responsibly and safely. Next month we're launching a new publication that explains the essential road rules for bike riders in Victoria. It will help bike riders share the roads safely and responsibly. Produced in collaboration with VicRoads, Bicycle Network, Cycling Victoria, City of Melbourne, City of Yarra and Amy Gillett Foundation. Pre-order copies now. Available in November. For orders over 500 copies please call 03 9604 8100 and ask to speak to the Publications team.